Apple’s iPad will continue to reign the swelling tablet market this year even though it already has several competitors from various computer and mobile-device companies, according to a report released by research firm Gartner. Gartner said iPad, which is synonymous to the term “tablet,” sets the standards for what the device really is, thus, leaving a small room for alternatives. The firm expects 70 million tablets to be sold within this year and about 108 million in 2012. The expected number is way beyond the 17.6 million tablet sales in 2011. Google trails behind Apple in the second position. The firm said Google’s Android operating system is still insufficient to match up with Apple. However, Gartner said Google’s shares will rise to 39 percent in 2015 from 20 percent this year while Apple’s shares will gradually drop to 47 percent from 69 percent. Research in Motion’s Playbook tablet, which uses the new QNX platform, gets the third spot in the market this year with a 5.6 percent market shares, which Gartner believes will rise to 10 percent in 2015. The firm said time and remarkable effort is required for RIM to obtain more customers and developers that will deliver a more innovative group of services and applications around QNX. Carolina Milanesi, Gartner analyst said this method will make a feasible alternative to Android or Apple. Milanesi said organizations that will be interested in RIM’s new QNX-run tablet will consist of those who have RIM’s infrastructurre or those who have strict security requirements. Creative accessories that add character and enhance functionality to Apple’s iPad are crowding in the market. Some of these include customizable and hardcover cases with keyboards. Heart monitors, hard drives and a digital crayons specially designed for iPad were also demonstrated at the Consumer Electronics Show that was held early January in Las Vegas. M-Edge Accessories, the provider of eReader accessories offers customizable cases that will bring personality to tablets and e-readers. Through an online design tool offered by the company, users can create their own artwork using images and photos. Once the desired design is achieved, M-Edge will print the image on the jacket adding a layer of Scotchguard film to protect the artwork. These jackets are coming soon at the price of $50 for Apple iPads. Zagg Inc. also offers a protective cover and keyboard for Apple’s iPad. The hard cover is made from aluminum while the middle of the case contains a keyboard that connects to the tablet using Bluetooth. The Zaggmate plus keyboard is a handy accessory for travelers and users who often make documents through Apple’s iWork suite. It is priced at $99 and is only available at their website. Earlier this month, iHealth Labs released their iHealth blood pressure monitoring that can be connected to iPad, iPhone, as well as iPod Touch. It includes arm cuff, hardware dock, and an app that collects the blood pressure information. The device is priced at $99.95. For those people who want an extended storage for iPad, the Sanho HyperDrive hard drive is the solution. It offers up to 750GB additional storage that also includes an internal storage of up to 64GB. Prices for the iPad hard drive range from $299 for 120GB up to $599 for 750GB hard drive. These are available at the Hypershop’s website. Lastly, Griffin Technology will brighten kids’ days as it offers a digital crayon that replicates the old Crayola crayons called iMarker styles. Kids can draw on the iPad through the coloring book application. The device will be available on the next quarter. The Hewlett-Packard Co revealed its first and newest product for the rapid-growing tablet market. The HP slate tablet is a device that runs on Windows 7 software intended for business-minded customers. The HP Slate 500 tries to reproduce the PC feel and experience in a tablet form, thus creating a distinction between rivals who have released devices with a smartphone feel. 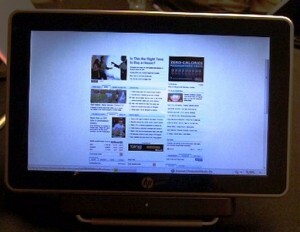 The device is running on Microsoft Windows 7, which is the same version used by most companies for their standard personal computers. The slate is sold at a starting price of $799, which is higher than other competing devices such as Apple’s iPad that started the tablet craze when it was released earlier this year. HP offers a slate tablet with 8.9-inch, multi-touch enabled screen. It weights 1.5 pounds, a digital stylus pen and 64 gigabytes storage. Its battery can last up to five hours. The slate is installed with Wi-Fi access; however, it has no built-in 3G internet access unlike other similar devices such as iPad, Galaxy Tab and Samsung Electronics. The director of business notebook marketing at HP, Carol Hess-Nickels, gave importance to the tablet’s usefulness when it comes to business activities and applications. The device can benefit retail, insurance and healthcare companies the most among other entrepreneurs. The HP Slate comes with Intel Atom processor, unlike other rival tablets that runs on low-power ARM-based chips found in smart handy phones. The device has a front and back camera that allows video conferencing, as well as a USB port. It also consists of a case and docking station. The Slate is now available for sale online. Hewlett-Packard Co, the world’s largest PC maker, is also planning to release a tablet that may look different from the Slate next year. Apple Inc. is reaching out to Verizon Wireless to assist in selling the iPad this Christmas, thus weakening their sturdy tie-up between AT&T Inc. The gadget will be available in both companies this Thursday, October 28. The surprising news created a disturbance between the relationship of AT&T Inc. and Apple. AT&T Inc. was the exclusive carrier of iPhone, and was primarily tapped as the network that will give the iPad’s mobile plan when this computer tablet was released last spring. Apple’s iPad are priced equally by both companies. On the other hand, Verizon will be offering the gadget with a mobile Wi-Fi hotspot bundle that will work for their network. 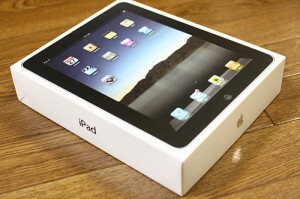 Walter Piecyk, a BTIG analyst said that the decision of Apple to sell the iPad through Verizon is a simple one. He said that Apple wants to sell more products of these as possible and this decision will truly sell more items. 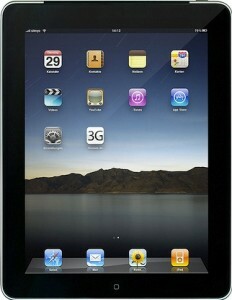 Piecyk said that if Verizon’s network works better, then why not Apple sells the iPad tablets there. He said that Verizon’s retail sales will help them be accustomed with the tablet’s software, as well as to prepare them from selling iPhone items. These two gadgets share the same operating system. Verizon is pushing a high-speed connection by bundling the gadget to its portable hotspot. 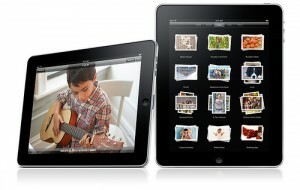 Prices start from $629 for the 16 Gigabyte iPad reaching to $829 for the 64 Gigabyte model. Verizon Wireless has about 2,000 stores compared to AT&T’s 2,200. Their shares closed up to 0.7 percent while AT&T shares increased to 0.1 percent. Evidently, Apple climbed to 0.7 percent shares.